What Kind of Disability Policy Do I Have and Why Does It Matter? You may have purchased your disability policy through your employer, which is generally governed by the Employee Retirement Security Income Act (ERISA), or you may have purchased your policy on your own, which is known as an individual or private (ID) disability policy. There are significant differences between these policies that you must understand before you file a claim. What Must You Do Before You Stop Working? There is no uniform disability policy. So before you stop working or apply for benefits, get a copy of your disability policy and read it cover to cover. There are many traps you must understand before you stop working. 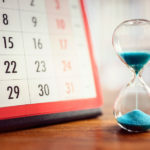 Picking the wrong date to stop working, not understanding the limitations of your coverage or how other monies you might collect, like Social Security, workers’ compensation benefits or personal injury settlements, can reduce your disability benefits. What Medical Conditions Qualify, and Are There Limits On My Benefits? 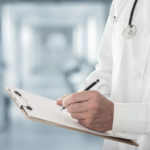 Many disability policies have limited pay periods as short as two years for mental nervous conditions, subjective conditions like migraines, or certain diagnoses like fibromyalgia. It is crucial that you understand any limits on your coverage before you apply. If you are no longer able to work or your physician has told you to stop working, it is time to apply for benefits. But picking the wrong date to stop working can destroy your claim. Learn why you must pick the right date before you stop working. The disability claims process is all about paperwork, which is purposely designed to allow the disability carrier to delay or even deny your claim. Learn the keys to filing a winning application for appeal. What Fatal Mistakes In The Initial Application Will Destroy My Claim? Disability carriers are in the business of denying claims. You can make innocent but fatal mistakes in your application that can destroy your claim. Learn what those mistakes are and how to avoid making them. 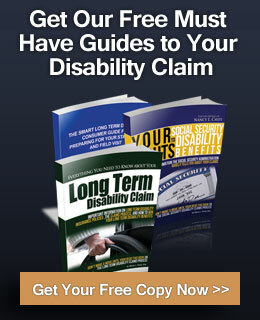 How Does the Disability Carrier Decide My Claim, and How Long Will It Take? Learn how disability carriers evaluate and decide a disability claim and the “we need more information” game many of them play to delay paying your benefits. If You Are A Professional, Why Should You Have Attorney Nancy Cavey Prepare Your Initial Application? Doctors, lawyers, accountants and others with advanced degrees purchased a disability policy to protect their income and lifestyle. 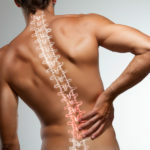 Disability carriers regularly dispute a policyholder’s occupation (despite what the policy says), pre-disability income, limitations on the ability to perform the material and substantial duties of your occupation, and residual disability. Learn why having an experienced ERISA and ID policy disability attorney can make the difference in having the disability carrier pay or deny your initial application.